Sometimes when I get a catalog, I dog-ear every page. And sometimes, there is just one panel that becomes the only thing you can see. 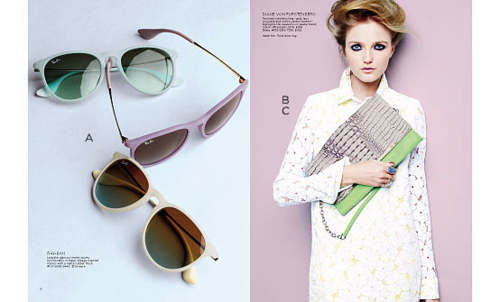 In the latest Saks catalog, it was this page of delightful sherbet hued Ray-Ban sunglasses. 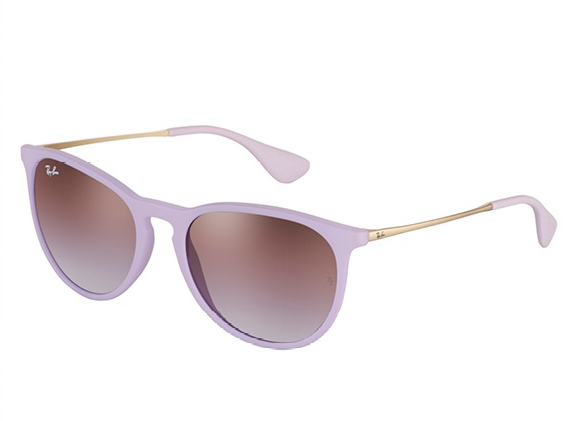 They could not be more perfectly made for my Pastel Ice Cream Sundae themed Spring and Summer. Ironically, even though I worked for Sunglass Hut in marketing (a million eons ago), I don't really have a large sunglasses wardrobe. I really only have 3 pairs - black Miu Mius, the white Baroque Pradas and the red glitter Miu Mius. The soft tones are so dreamy. I just can't decide! Maybe I'll get both! 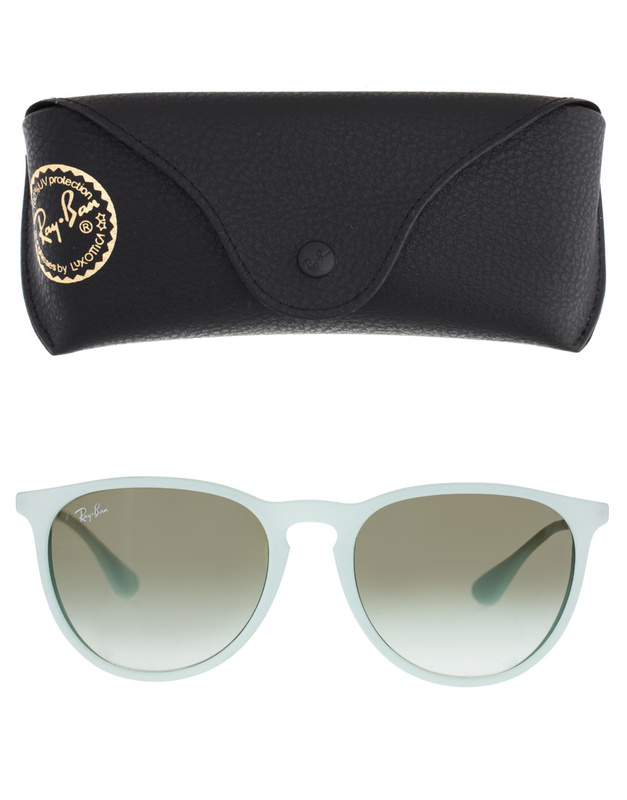 These don't go on sale at Saks until mid-April but if you do a search for Ray-Ban Erika, I've seen them in a few places online, generally for around $109. Yeah! 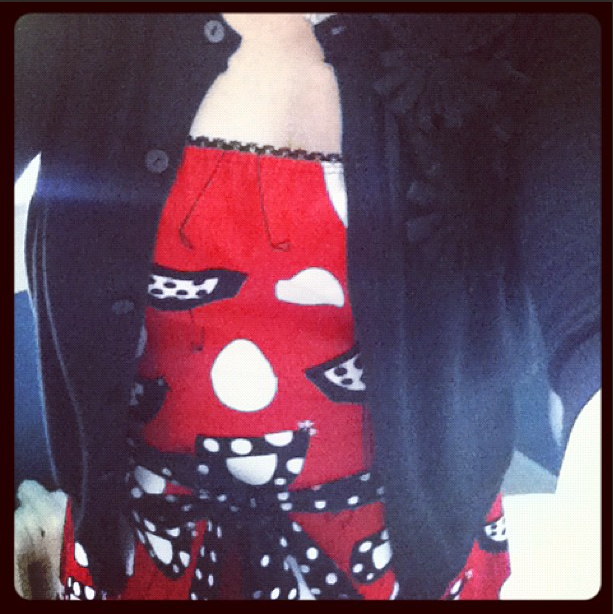 An Outfit of the Day! 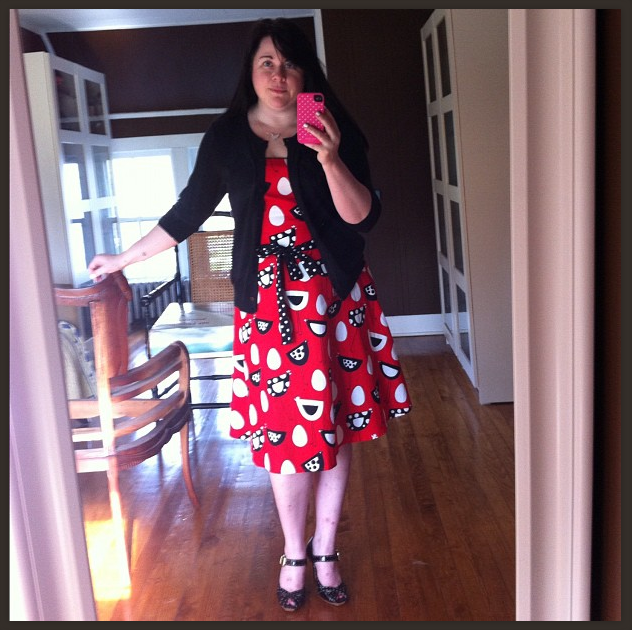 I finally had the chance to wear one of my new print dresses for spring. 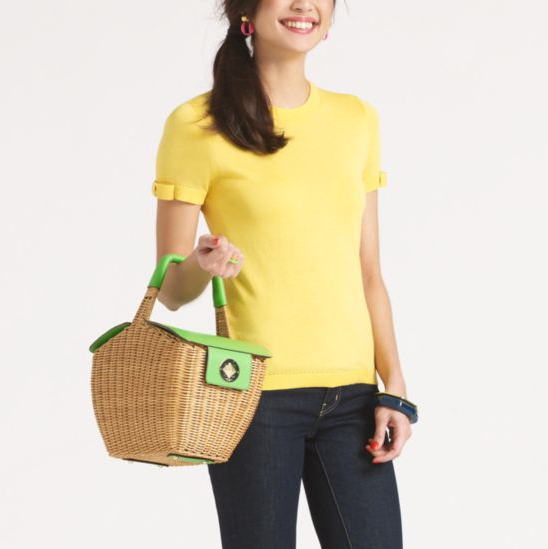 I was going to the farmer's market and a lunch meet-up so how cute would it be to wear my new ModCloth A Hen-chant for Eggs-ellence Dress. I mean, could the print be any better? I paired it with a black cardi and a vintage purse and my Lillybee Jessica peep-toe mary janes. 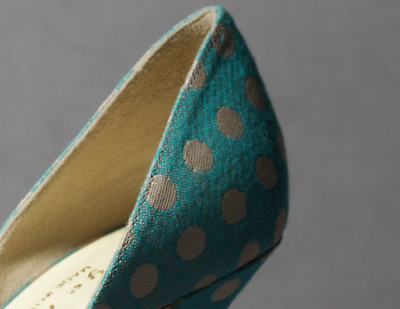 The weather is finally getting to that perfect point where you can wear the fun dresses and pretty heels. I'm so sorry to have left you with those hideous monstrosities over the weekend. 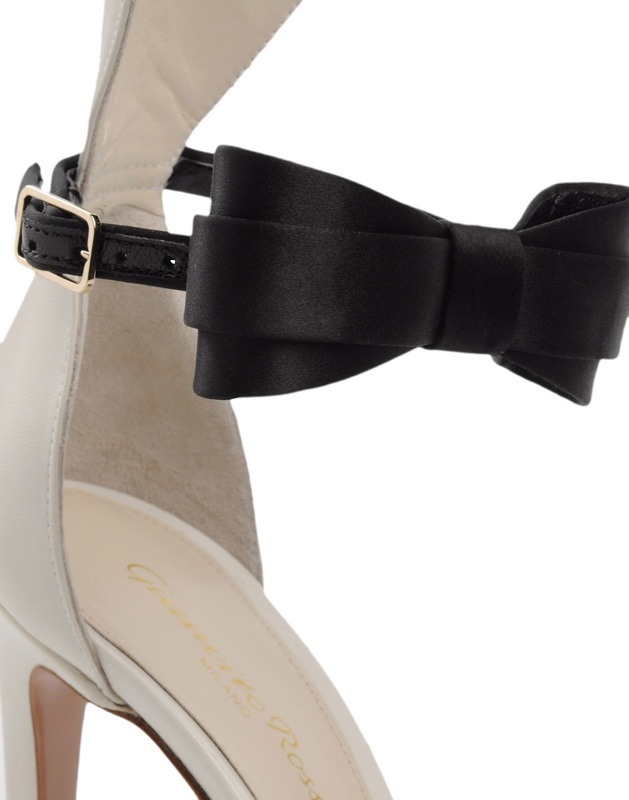 Here is a refreshingly adorable palate cleanser in the form of bow-tie sandals from Gianvito Rossi. They really are too cute for words!!! I can't wait to wear them! There is something terribly wrong in the world. Peter Non... what are you thinking??? 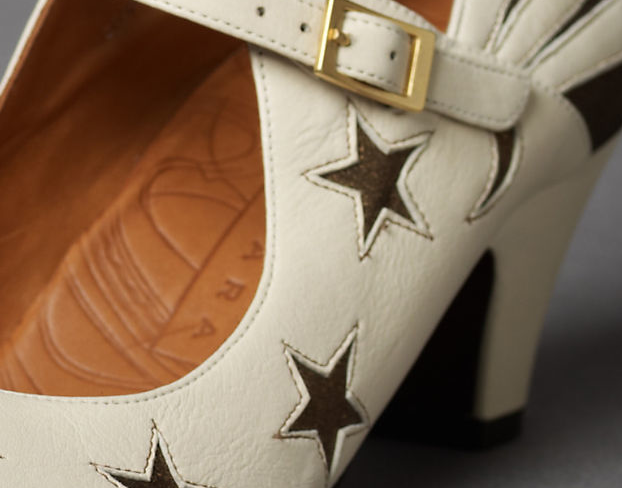 I would wear the hell out of these Ruthie Davis Punkie peep-toe heels. As you are reading this, you may already be too late. 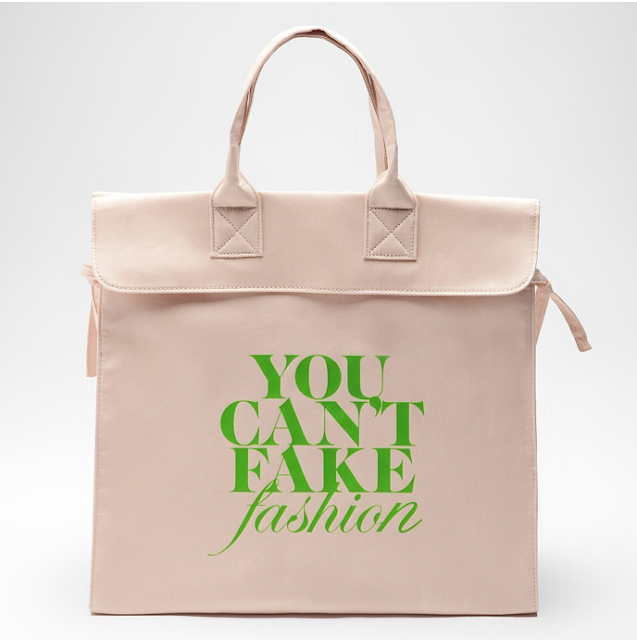 At 11amET today, the CFDA/eBay "You Can't Fake Fashion" bags just went on sale. I've had this on my calendar for a few weeks now and it was fun to jump on right at 11 and see all the designer interpretations. While there were some fun and gorgeous options, each running $200 (for now! I'm sure you'll see them for much more via re-sellers), I opted for one of the basic bags which were only $45. 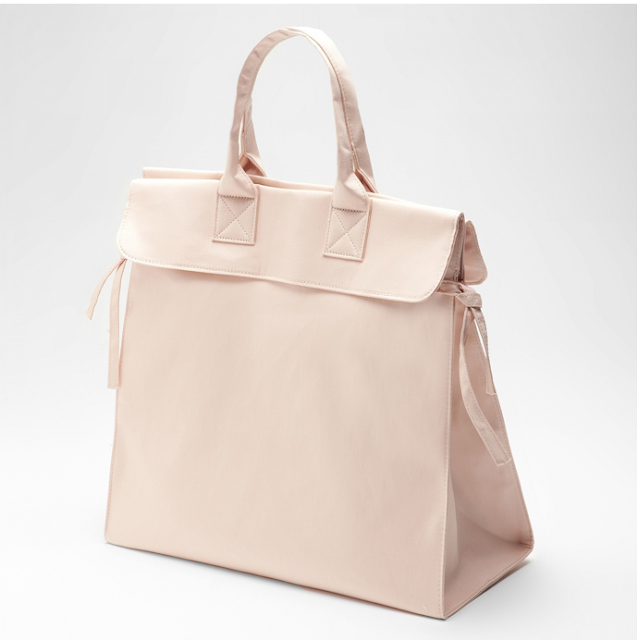 I got the Satchel tote with the side-ties. 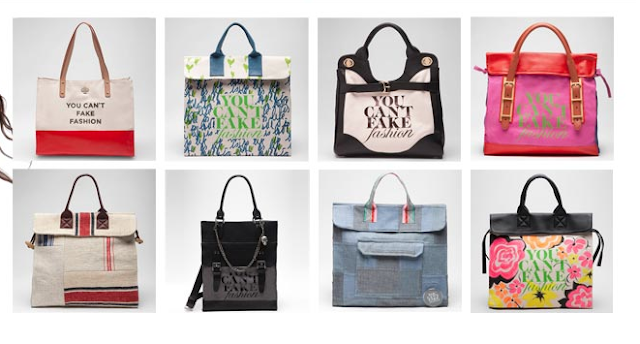 I think I'm going to take some inspiration from the designers and customize mine myself. I thought the Doo.Ri bag with written inspirational notes was a fun graphic look. I also like the Libertine sequined version. It's very shiny and bubbly. The money is going towards great causes and they project a message of valuing authentic work... something I can get behind! Nab yours now while you can! It's a funny thing... sometimes the way to my heart is by fooling my eye. 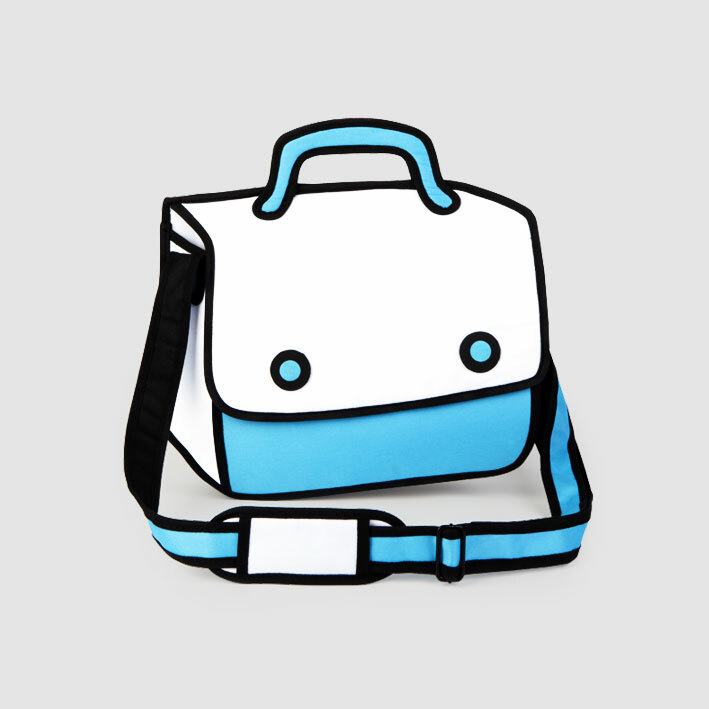 That's what happened the first time I saw the bags from Jump From Paper. I was surprised. I was puzzled. I was enchanted. How could you not smile. Your brain sees something that says it is 3 dimensional but your mind says "No! It's only a drawing in 2D! How can this work???" Silly brain - just look closer! JumpFromPaper™ is a playful and innovative line of handbags created by Taipei-based design duo, Chay Su and Rika Lin. 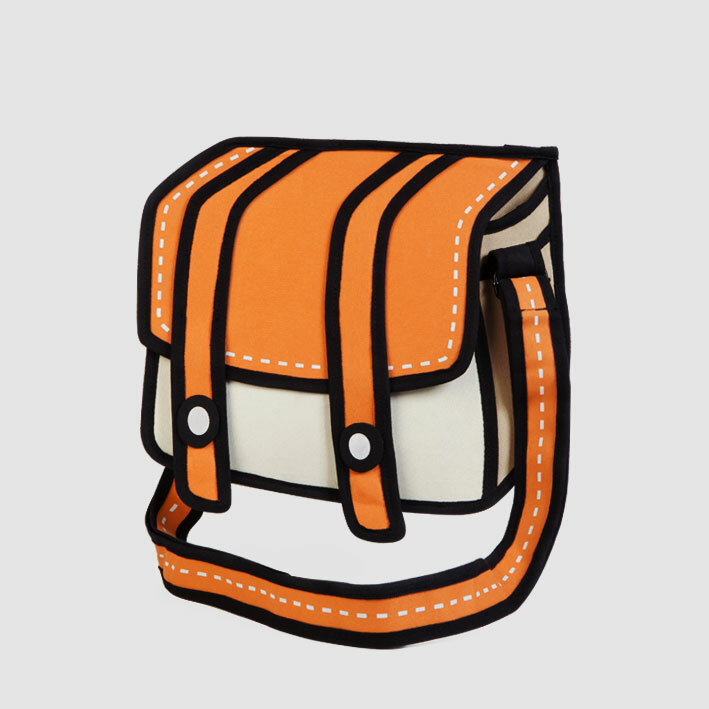 One cozy afternoon, the two girls were chatting, when they got to sketching their dream designer handbag. A surprising idea popped up – “How amazing it would be if a two-dimensional hand-drawn illustration could come to life as a real bag!” They explored every possibility, rendering fantasy handbags in perspective, and giving birth to JumpFromPaper™. 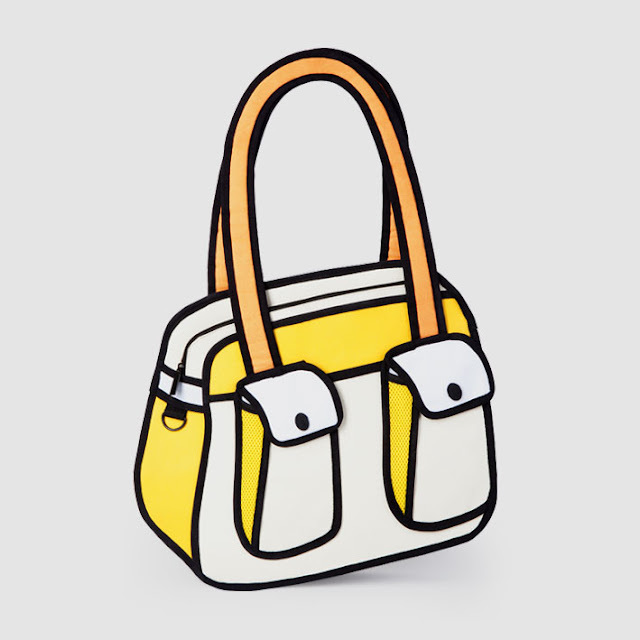 Cartoon-like outlines and bright and cheerful colors add a brisk yet funky flavor. 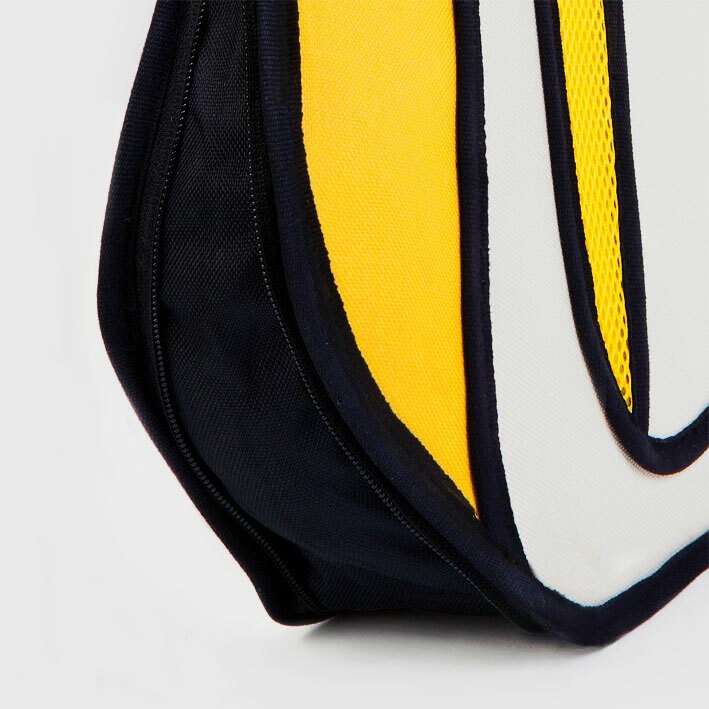 And despite the slim appearance, each JumpFromPaper™ bag has a roomy interior to accommodate personal belongings and even a laptop. Even knowing and seeing the close ups, my mind is in turmoil. I love it!!! I think my favorite is "Cheese!" camera bag style (below) but all for their designs - make sure to see them all - are adorable! 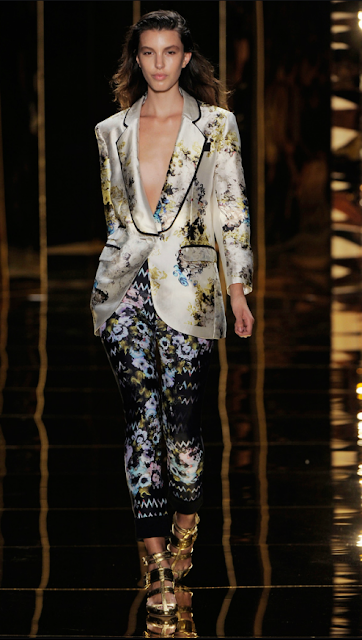 Are prints my "new thing"? I have to admit, I'm loving all of the printed designs - from butterfly heels to picturesque floral scene dresses and skirts, lush prints are what I am embracing this Spring. When it came up on her store yesterday, I knew it was the type of investment piece that is so unique and special, you'll wear it forever. A classic shape with a beautiful "twist". 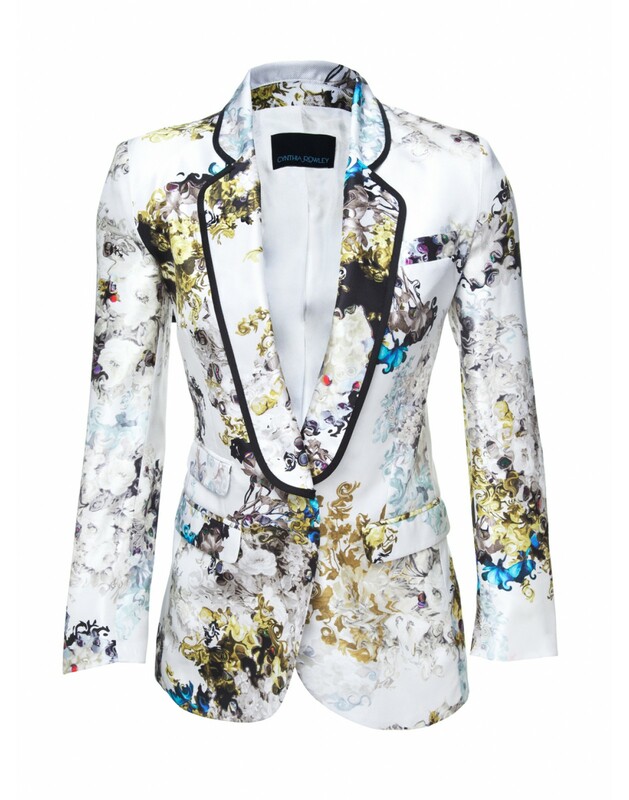 I could wear this with a sweeping skirt or printed pants (I have a pair of gold pants in mind) or even jeans. No matter how you pair it, it's going to be amazing. Even I can't justify a $400 plastic skirt... right? The Jolly Rancher skirt from Laquan Smith. 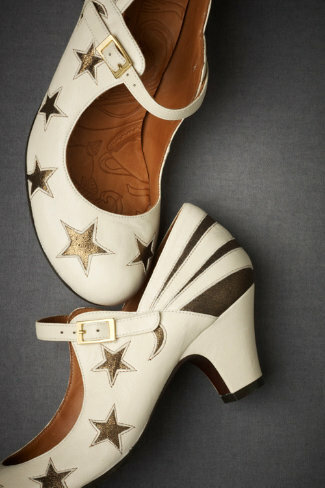 I always love discovering a new place to buy dreamy decadent shoes. Somehow, probably through an image on Pinterest, I made my way to BHLDN (aka Beholden), a lovely bridal store based in PA, with stores in Chicago and Houston. If the pictures I've seen of the stores and of the products are anything to go by, this is a magical lush experience. If you were not giddy about planning a wedding before, you will be once you see everything they offer. 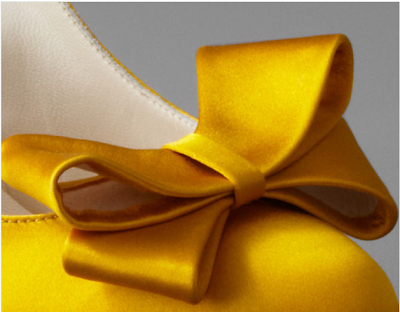 While I'm far from my wedding planning days, I am still interested in pretty headpieces, gloves and, of course, beautiful shoes. And, oh, do they have beautiful shoes. Most are in shades of cream and white but a large number of them are picking up on the trend of injecting a surprise pop of color with a shoe in blue, green or even gold. I had to get a few pairs. They were too pretty to pass up. 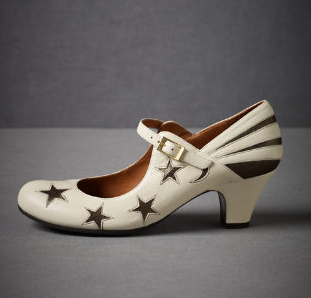 The first pair were the Stratosphere Mary Janes from Chie Mihara. 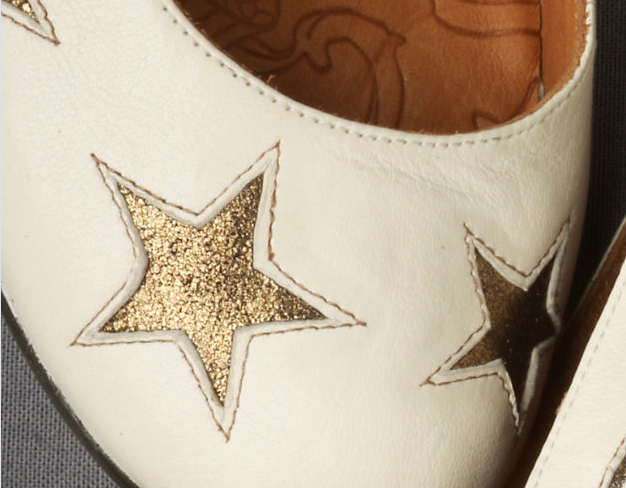 I think they will be adorable with dresses but imagine having glittery stars on your feet as you walked down an aisle or twirled on the dance floor. 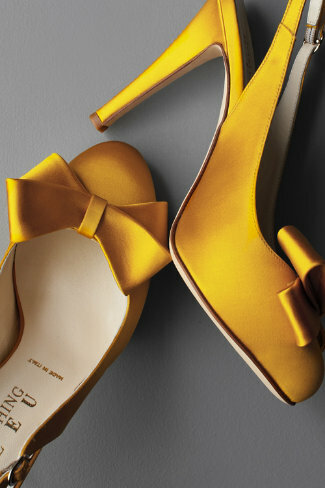 I was enraptured by the color of these saffron slingbacks from Something Bleu. I love satin heels and these seem to glow. 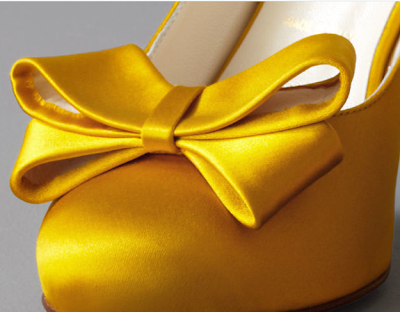 I love the playful yet elegant bow too. 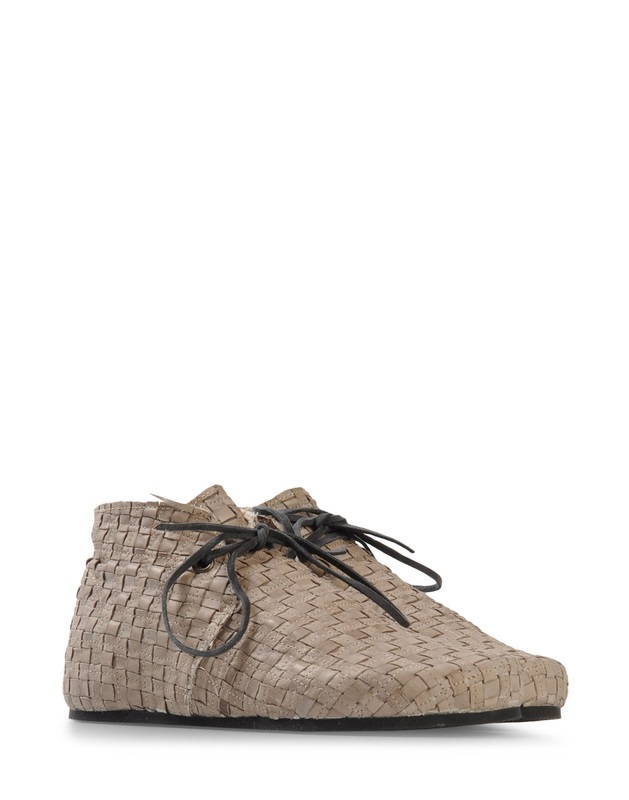 I'm going to pair these up with cobalt and brown and maybe even pink. 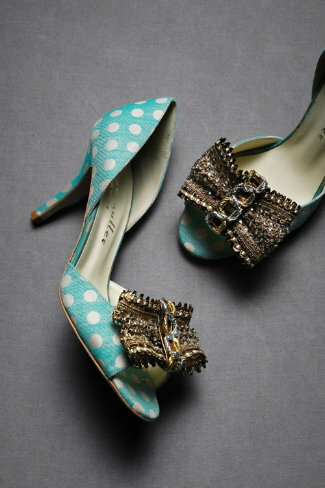 And I couldn't pass up these d'Orsay peep-toes made with vintage polka-dot fabric and gem-encrusted bows. 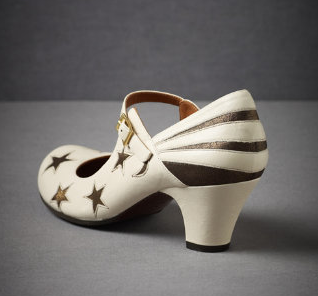 Limited edition pumps from Bettye Muller? Yes please and thank you. I'm not planning my wedding (maybe I need a vow renewal!) 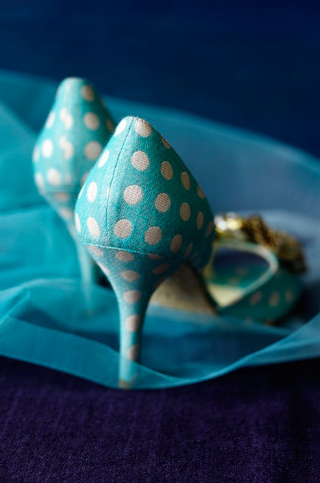 but wearing these heels is sure to make it feel like a special day. I may have to go back to find some equally pretty accessories and see what new styles they discover next. 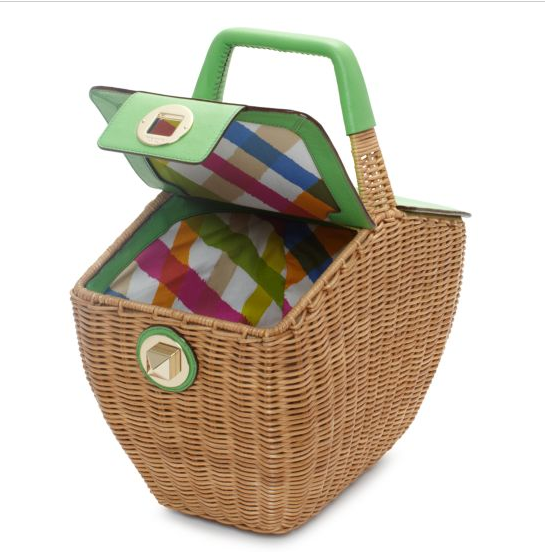 You know I love a bit of whimsy, especially in a cute purse. 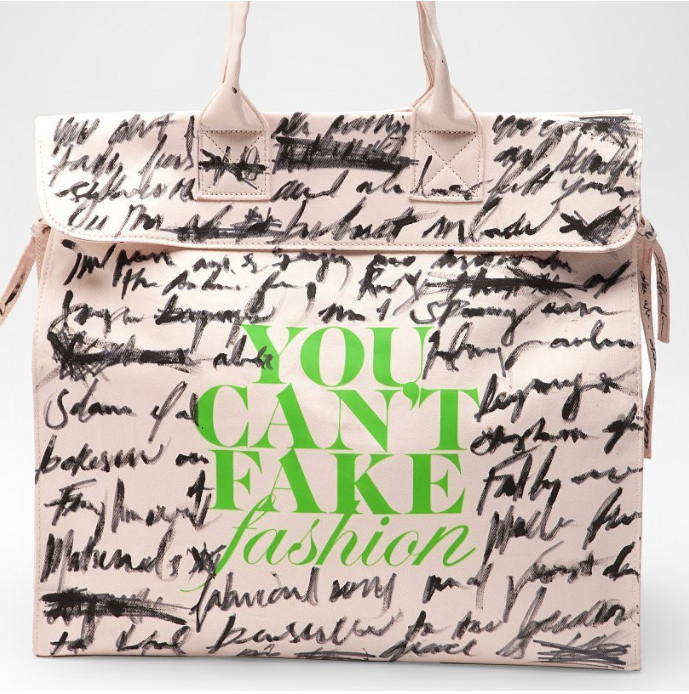 And how good is Kate Spade at knowing what is going to strike my fancy??? 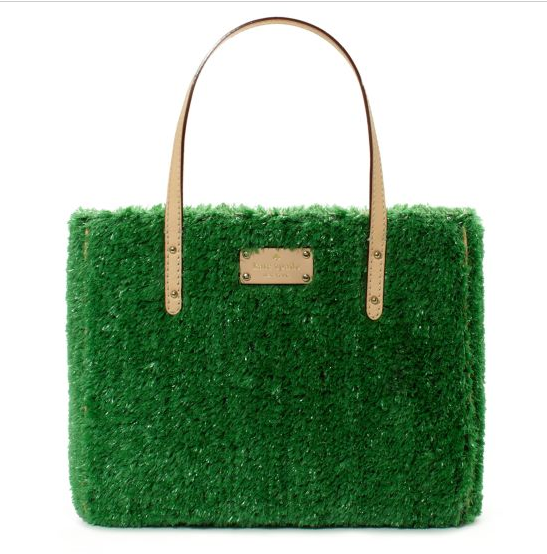 Well, how about this 50s fabulous, WASPy tennis-lovin faux grass "Hold Court Quinn" bag. Oh, how much do I want this for Summer??? SO MUCH, I tell you! 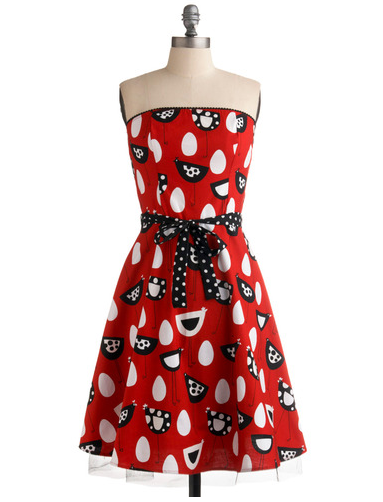 How adorable would this be with one of my new patterned dresses??? Maybe I need both! It's the only solution!!! I'm sure you are thrilled to know... I chose the d'Orsays! They're my favorite style and the most comfortable. 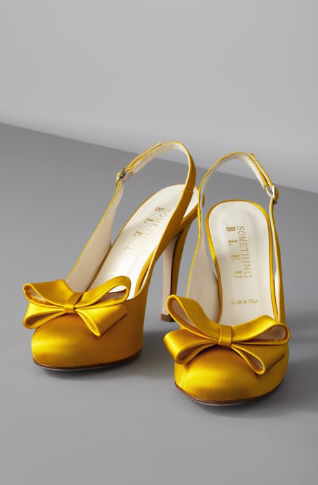 I love getting some Twitter love from my favorite shoe fanatics at Bergdorfs... home of the best shoes on the planet! You have to check out their link - the latest blog post on 5th/58th. 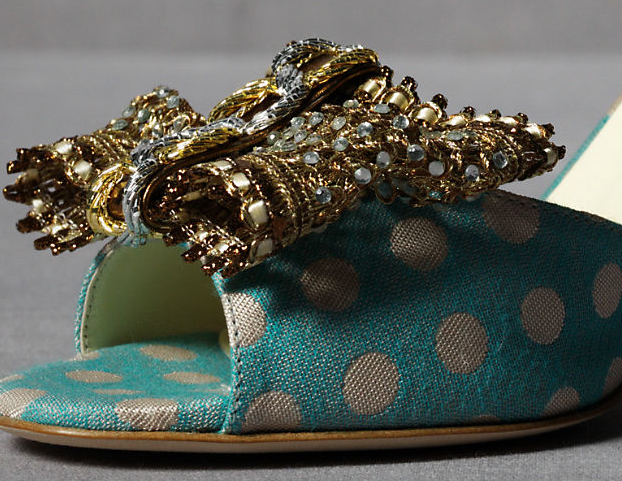 They're sharing some of the most gorgeous shoes for Spring 2012. I think my favorites are the "scribble" Kirkwoods and the Alaias. Any "Le Sighs" for you?? ?